Remember the Rose Bowl: Dixie Howell and "The Adventures of Frank Merriwell"
Dixie Howell and "The Adventures of Frank Merriwell"
American's screen test for "The Adventures of Frank Merriwell." 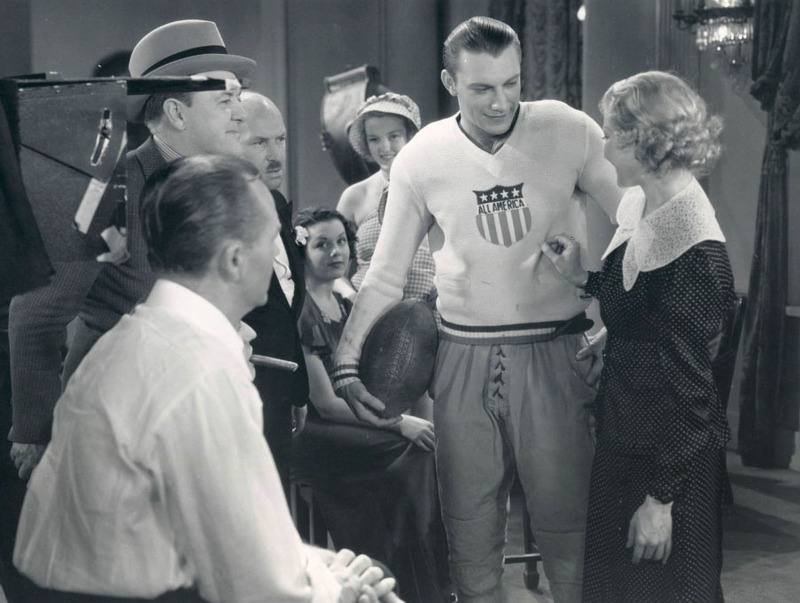 While Johnny Mack Brown famously used his performance in the 1925 Rose Bowl to launch a career as a movie star, several other Alabama players were wooed by Hollywood during their trips to Pasadena. 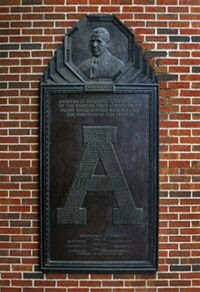 When the Crimson Tide came west and defeated Stanford in the 1935 Rose Bowl it gave Alabama's All-American Dixie Howell an opportunity to seek his silver screen fortune. Howell was invited by Universal Pictures president Carl Laemmle to take screen test which led to the Rose Bowl MVP's appearance in the serial "The Adventures of Frank Merriwell." 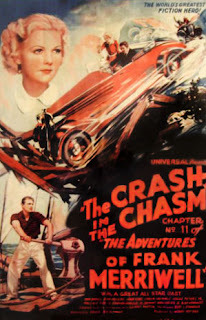 Howell appeared uncredited in the eleventh film of the 12-part series, "The Crash in the Chasm." It was his only film role. The Merriwell franchise originated in a popular series of books published from 1896 to 1912 that were penned by Gilbert Patten writing under the pseudonym, Burt L. Standish. While the plots centered around the lead character solving a mystery or some similar adventure, Merriwell was notable for excelling at sports as an athlete at Yale. Football games and other athletic contests were often featured prominently in the stories. As a result, the franchise became the model for the wave of juvenile sports fiction that peaked in popularity in the 1940s. The series was adapted into comic books, radio serials and, eventually, a series of films starring Donald Briggs as the title character. The romantic interest, Elsie Belwood, was played by a pre-"Flash Gordon" Jean Rogers (who may also have appeared in publicity photos for the Rose Bowl game as well). While Howell's film career came to naught his trip to Hollywood in 1935 did have a major impact on his life. While in California he met aspiring actress Peggy Watters whom he married in Mexico City in November of that same year.